This Month the Italian Air Force 18 Gruppo based at Trapani-Birgi AB, flying the F-104S/ASA and F-104S/ASA-M exchanged with the Turkish Air Force 111 filo flying the F-4E and based at Eskisehir AB. It was a two way shifted squadron exchange. First in June the F-4E aircraft flew to Trapani AB, later in September the Italian F-104s flew to Turkey for their shift. 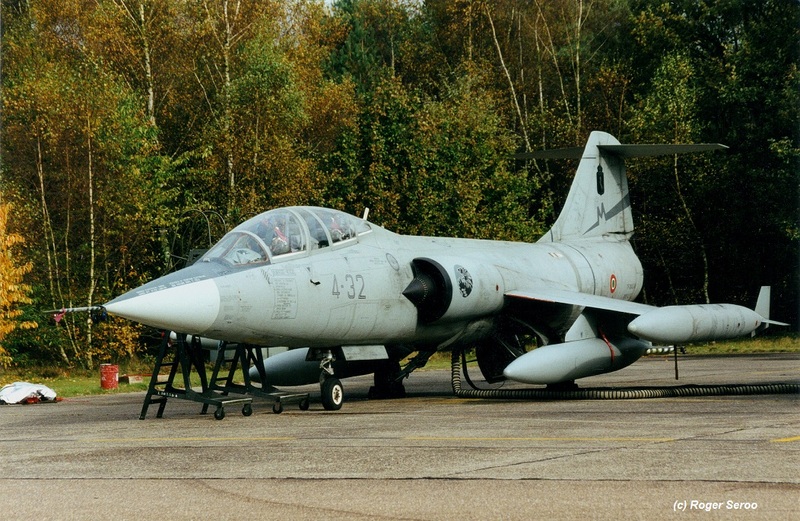 Note: In June 2000 the Starfighters from 23 Gruppo were seen at this airbase also during exercise "EOLO" so the pilots must have enjoyed being at that airbase quite a lot and likely made arrangements for a squadron exchange later on that year. This month the Italian Air Force 9 Gruppo based at Grosseto AB, flying the F-104S/ASA and F-104S/ASA-M exchanged with a Norwegian Air Force F-16AM squadron. It is unknown if it was a 1 or 2 way squadron exchange but at least the Starfighters flew to Norway being F-104S/ASA aircraft MM6705/4-5, MM6714/4-11, MM6824/4-3 and aircraft MM6825/4-21 using call-signs "I 6943" and "I 6705". Aircraft 4-21 and 4-11 departed on September 19th while the other two left 1 day earlier. All flew via Jever AB. During the exchange one TF-104G came by being MM54251/4-34 arriving on 15 September and leaving again on the 18th. Also this TF flew via Jever and the day after it arrived at Grosseto. (Some believe the Italian F-104s flew to Bodo but nobody could confirm this yet. who can help?). This month the Italian Air Force 20 Gruppo based at Grosseto AB, flying the TF-104G and F-104S/ASA exchanged with the Belgium Air Force OCU within 10 Wing at Kleine Brogel AB, flying the F-16A and B. It was a 2 way shifted squadron exchange. First the Belgium F-16s flew to Italy in May and the Starfighters flew to Belgium in October. Participating Italian aircraft at Kleine Brogel were MM54250/4-33 (callsign "I 4250"), MM54251/4-34 (callsign "I 4252"), MM54253/4-35 (callsign "I 4253A"), MM54237/4-32 and MM54553/4-44 (callsign "I 4251"). Aircraft 4-44 departed already on October 24th and 4-34 arrived on October 19th instead of the 18th. 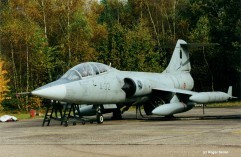 On October 25th the F-104S/ASA MM6838/4-58 visited Kleine Brogel and stayed the night. Pre-visit was made by TF-104G MM54237/4-32 (callsign "I 4237") on 25 September when it also stayed the night. Beneath a photo taken from 4-32 on October 24th by Roger Seroo. All aircraft arrived back at Grosseto on 28th of October 10:05h local time, accompanied by C-130H which arrived at Grosseto in the afternoon (13:55z).